Why did humans abandon hunting and gathering for sedentary communities dependent on livestock and cereal grains and governed by precursors of today's states? Most people believe that plant and animal domestication allowed humans, finally, to settle down and form agricultural villages, towns, and states, which made possible civilization, law, public order, and a presumably secure way of living. But archaeological and historical evidence challenges this narrative. The first agrarian states, says James C. Scott, were born of accumulations of domestications: first fire, then plants, livestock, subjects of the state, captives, and finally women in the patriarchal family - all of which can be viewed as a way of gaining control over reproduction. 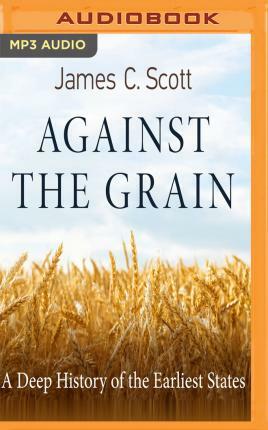 Scott explores why we avoided sedentism and plow agriculture, the advantages of mobile subsistence, the unforeseeable disease epidemics arising from crowding plants, animals, and grain, and why all early states are based on millets and cereal grains and unfree labor. He also discusses the "barbarians" who long evaded state control, as a way of understanding continuing tension between states and nonsubject peoples.